A person was stabbed in the stomach inside the 95th Street Red Line Station Sunday, Chicago police said. 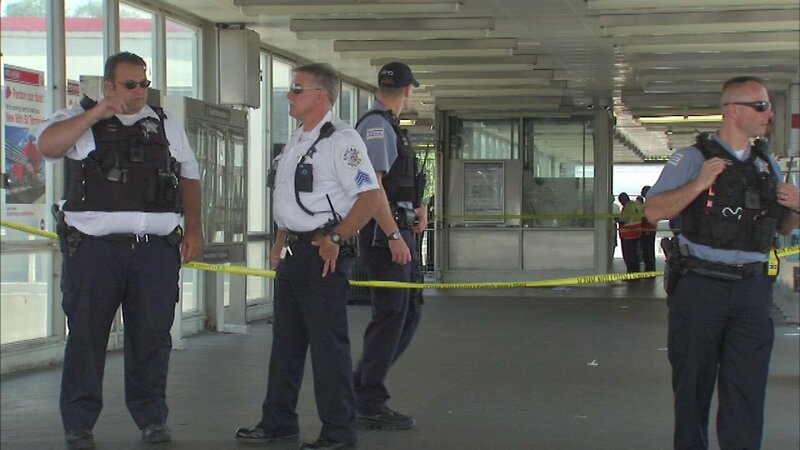 CHICAGO -- A 22-year-old man was stabbed to death Sunday afternoon at the 95th Street Red Line station on the Far South Side. Corvel Brown was stabbed in the abdomen during an argument in front of the turnstile at the train station in the 0-100 block of West 95th Street at 12:37 p.m., according to Chicago Police and the Cook County medical examiner's office. Brown, who lived several blocks away, was taken to Christ Medical Center in Oak Lawn, where he died at 2:36 p.m., authorities said. The attacker got away, police said.